It’s just not enough to list your properties in the multiple listing service (MLS) system or even on social media. In order to rank and compete, you’ll need a high-quality virtual tour and at least 30 photos per property. With the tools of a videography company and the versatile skills of a digital marketing powerhouse, Impulse Creative can produce exactly what your team needs, while teaching you the best ways to use it. Video marketing like real estate drone photography helps you to create virtual experiences that showcase exactly what your current and future clients want. Work with our marketers to create and leverage those resources in your listings, on social media, on your website and even in commercials. List and Sell Homes Smarter with real estate drone photography and professional video services. At Impulse Creative, we are not just photographers or videographers, we’re marketers. We don’t just sell video and photo packages, we want to use every tool at our disposal to achieve your professional goals. So, we make photography and videography assets that last beyond selling a home, continually showcasing the types of properties you represent by creating evergreen content. Our defined process gets your assets completed faster while our next-level marketing data access allows us to track and adjust your video or photo strategies until they’re as effective as possible. We’ll start with a quick 15-20 minute conversation with you about the home and the details we’ll need to plan the best possible shoot, including the direction each home faces. Then, you’ll have the opportunity to adjust the home decor or staging, to ensure your videos stay timeless and reusable. We'll work with you to plan the walkthrough based on the most compelling features, before we arrive on location to shoot both video and drone photography. Lastly, we can interview you for an on-camera overview that explains what makes the home special, its unique features, neighborhood details, pricing and more. Real estate is a cut-throat world. Our in-house talent creates premium content from start to finish by using real data, working directly with your team. The better the content, the better the lead. Find the right tone, the right time and the right premium content to bring landing pages into the journey of your buyers. 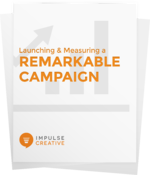 This free tool kit is your guide to everything you need to launch and measure a remarkable campaign.